Happy New Year to all our Firework friends and fans around the World. NYE is traditionally one of the busiest nights in the world for Firework Displays and our firing teams have been all over the UK setting up spectacular displays to welcome in 2017. 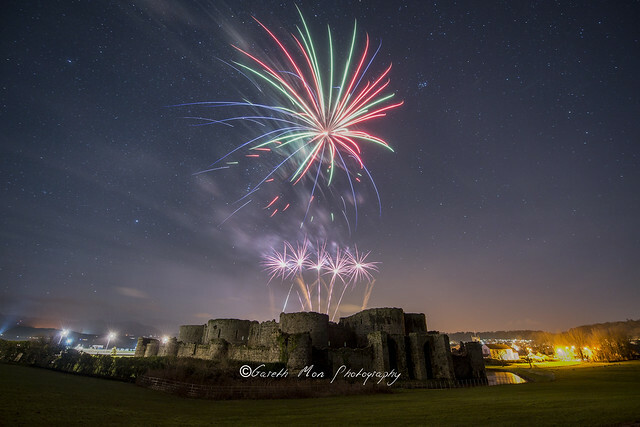 This photograph on Flickr taken by Gareth Jones shows our fireworks over Beaumaris Castle. Beaumaris Castle is a beautiful venue and a beautiful backdrop for a firework display.